MMZ Printing & Graphics Inc. is a full-service printing and promotional company dedicated to servicing your company with all of your printing needs. 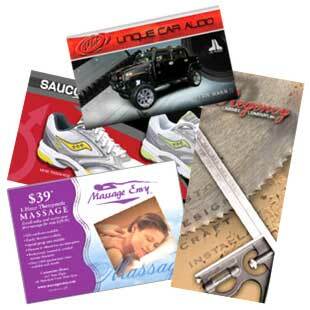 MMZ is yourone-stop-shopfor your company's printing projects. With over 30 years in the printing industry, MMZ offerslow prices, quality printing, and outstanding service.From one to full-color printing, we offer products such as:• Flyers• Brochures• Postcards/Mailers• Corporate Stationary & Business Cards• Invitations• NCR Forms• And much, much more! Printed material is one of your company's most important communication tools. When you consider how many items project your image, it makes sense to expect the best from your printer. MMZ takes your company's image very seriously, whether it's an internal business form or sophisticated sales materials, MMZ accepts the responsibility of making sure your printing piece conforms to your standard of quality. With our Hamada & Ryobi 2-Color presses, we can provide any Pantone Matching System color work from corporate stationary to booklets and brochures. From Presentation Folders, Banners, Table signs, and Stickers to Clothing Apparel & Mugs plus so much more.